China has launched a rocket to the moon with aims to search for natural resources. The lunar probe, Chang'e-3, has a number of missions and is the first mission to the moon for China, according to Xinhua. 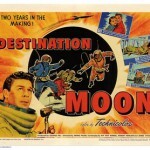 It is also the first lunar probe launched this century. The moon rover, dubbed Jade Rabbit, is focused on surveying the moon's geological surface and looking for natural resources such as rare earths and Helium-3. It is understood that if this mission is successful it will mean China has the ability to carry out in-situ exploration of extraterrestrial bodies, the deputy engineer-in-chief in charge of the second phase of the lunar program, Sun Huixian, explained. "China's space exploration will not stop at the moon," he said. "Our target is deep space." China aren't the only ones focusing on mining in space. 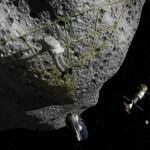 Earlier this year Deep Space Industries announced plans to build a fleet of asteroid mining space craft to harvest bodies in space. Planetary Resources, a company backed by Google heads, has already partnered with Virgin Galactic to take the lead in interplanetary mining. Two separate companies, LunaCorp and Moon Express (MoonEx), have also looked into the possibility of mining on the moon. Australian researchers have also developed a soil stimulant that looks and behaves like soil from the moon, as mining conditions on the moon would be completely different to those on earth. The researchers said it may help advance plans to construct safe landing pads and mines on the moon, and aid the development of new machinery which would be necessary for operations.